Last week I had the pleasure of meeting 5 day new baby Anwen with mum Elinor and dad Anthony. They brought her over to me for a newborn photography session that Elinor had booked a few months back. Mum told me how during labour, things hadn’t gone quite as expected and Anwen was born by emergency caesarean section weighing over 9lb! She was absolutely adorable. I see lots of gorgeous babies, and they are all very different. After a couple of feeds and changes, little Anwen settled into a deep sleep enabling me to freely pose her. 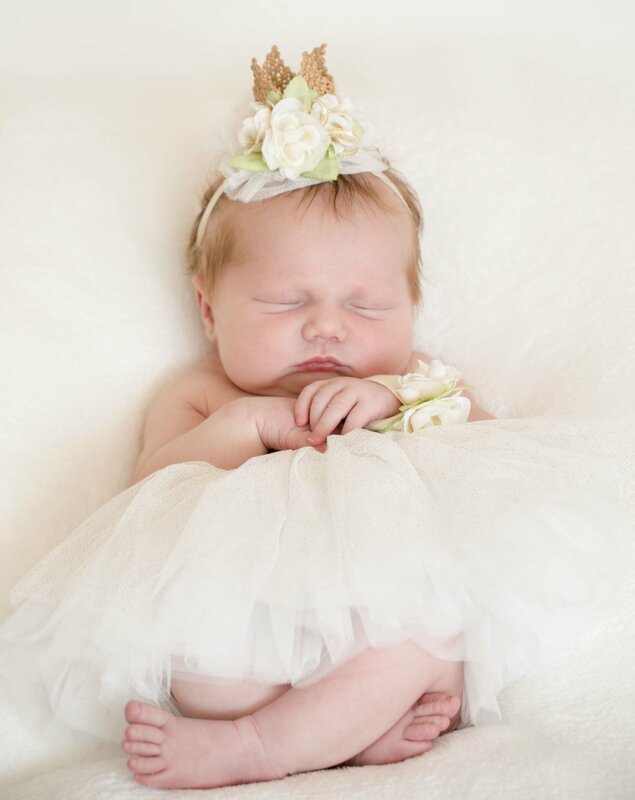 During a newborn session, I always attempt a variety of poses using different props. Baby always rules the day however, and it’s surprising how nosy and alert they can be! If you are expecting yourself and would like to book a newborn session when baby is born, please do not hesitate to contact me. Gift vouchers are available if you wish to club together for a pregnant colleague going off on maternity leave etc. Babies change so quickly, it’s a really precious gift and the new parents will treasure their images for years to come.